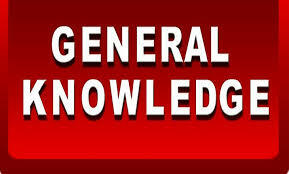 Rajasthan General Knowledge And political-gk, Rajasthan police, SI exam Part –10 GK And jobs, RAS Exam Study Material, Current GK And Read more: Important facts for the Competitive exam in Rajasthan. And Date Wise 29-11-2017 Rajasthan Gk Question. Exams and All subject Wise Notes and Math, Hindi, English, History, Political Science, Psychology, Sanskrit Related Study material and Rajasthan General Knowledge (GK) Question for Govt Exam preparation like RAS, IAS, UPSC, RPSC, 1st, 2nd, 3rd Grade Teacher, REET CTET, LDC, SSC CGL, IBPS, MBA, CAT, MAT, SBI-PO, RBI And Railway, Indian Army And all competitive Exams. Question (1) What is the only means of law in modern times? आधुनिक समय में विधि का एक मात्र साधन है? Question (2) What is the meaning of social equality? समाजिक समता से क्या अभिप्राय है? Question (3) Which two types of citizenship are obtained? किन दो प्रकार से नागरिकता प्राप्त होती है? Question (4) Which is not a political authority? कौन सा राजनीतिक अधिकार नहीं है? Question (5) Who will present their resignation in India before the President? भारत में राष्ट्रपति अपना त्यागपत्र किसके समक्ष पेश करेंगे? Question (6) which schedule of the Constitution, 22 regional languages have been included? संविधान की किस अनुसूची में क्षेत्रीय 22 भाषाएँ सम्मिलित की गई हैं? Question (7) Who is the chairman of the Planning Commission? योजना आयोग का अध्यक्ष होता है? Question (8) ‘Garibi Hatao ‘whose name is associated with the slogan? गरीबी हटाओ’ नारे के साथ किसका नाम जुड़ा है? Question (9) Which part of the Indian Constitution is the USA. Is the constitution of the same? भारतीय संविधान का कौन सा पक्ष यू. एस. ए. के संविधान के समान है? Question (10) Which date is the United Nations Day celebrated? संयुक्त राष्ट्र दिवस किस तिथि को मनाया जाता है?